Two new Legacy products have been revealed on Twitter via bigbadtoystore: we finally have our first look at the much speculated Legacy Ninja Megazord! 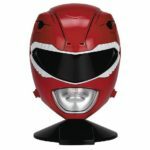 In addition to that, we have another surprise reveal in the form of a Legacy Red Ranger Helmet. At the moment, the exact scale and dimensions of the helmet weren’t revealed on BBTS’ product page, but we do know that BBTS will have them both in stock by November 2016 at the very least. 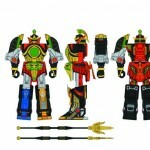 BigBadToyStore Legacy Thunder Megazord Pre-Orders are LIVE! Our site sponsor BigBadToyStore.com has just listed a pretty big release many of our members have been eyeing since our coverage of it during San Diego Comic Con 2015! Slated for a February 2016 release is the highly anticipated Power Rangers Legacy Thunder Megazord! A piece of brand new placeholder art is currently attached to the pre-order but we also have another piece of information, the shipping weight of the Legacy Megazord is stated to be 4.9 pounds! So that’s one nice chunk of diecast we’ll be getting. BBTS’s retail price is listed as $199.99. If you haven’t already done so head on over to BigBadToyStore.com and get you pre-order in by clicking THIS LINK which will take you straight to the Legacy Thunder Megazord! And don’t forget there’s something for everyone at BigBadToyStore.com! Be sure to check them out and take advantage of their Pile of Loot shipping method so you can combine multiple orders in to one easy shipment – saving you time AND money! Our site sponsor BigBadToyStore.com just released a newsletter detailing some of the new figures they have in stock and the new pre-orders that they’ve been putting up for the last week! And while it’s not a super-heavy toku week by any means, we’ve done our best to make things easy for you and listed some of their current toku pre-orders as well as some of their new arrivals in toku. Check it out below! New Arrivals and In Stock NOW! There’s something for everyone at BigBadToyStore.com! Be sure to check them out and take advantage of their Pile of Loot shipping method so you can combine multiple orders in to one easy shipment – saving you time AND money! Click “read more” to read the latest newsletter! 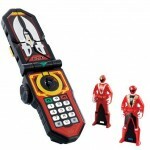 Just when you thought it was safe to leave your house to go hunt for Power Rangers Dino Charge, our site sponsor BigBadToyStore.com has put up their pre-orders for the first three mechas for Shuriken Sentai Ninninger as well as the Bandai of America styled action figure line for the male Ninningers! What are you waiting for? Get those pre-orders in! These are all estimated to arrive in February 2015. Don’t forget to use the Pile of Loot system to help you save on your shipping! Our site sponsor BigBadToyStore.com has just released their brand new newsletter and there’s some great news – there’s new toku items in stock! From S.H. 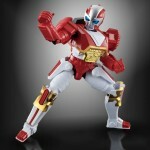 Figuarts to Effect Parts for your figures, and of course active pre-orders, be sure to check out BigBadToyStore.com!! If you’re looking for top-notch customer service with fast, smart shipping look no further than our friends and sponsors at BigBadToyStore.com! And don’t forget to save money and use their Pile of Loot system – why ship multiple items separate when they can sit in your own pile of loot and ship altogether? For the full newsletter please click “Read More”. Happy shopping toku fans!